Hyo Hwa, a young and beautiful witch princess who has eight brothers, lived a happy life until the civil war of the magical world started and her mother is killed. 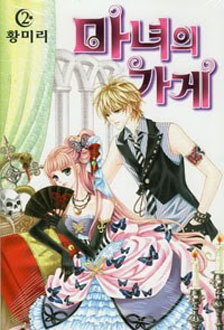 Reckless and stubborn, Hyo Hwa travels to the underworld to revive her dead mother. The king of hell agreed but the deal is : You must go to the human world and collect 10,000 pure souls. After long boring millenniums in the human world, Hyo Hwa decides to go to Korea for a change and…..not only does she meet some entertainment there…perhaps even love? i was really happy you just picked my favorite manga.witch shop and going to troll’s kingdom and please update fast! Thanks! Awesome job and amazing manga!